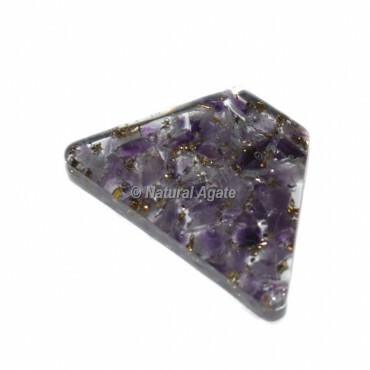 Huge collection of Amethyst Orgone Trapezoid Cab at lowest price.Amethyst is a powerful and protective crystal Amethyst is known as the stone of sobriety. A natural stress reliever, Amethyst encourages and supports inner strength. The strong healing energy of Amethyst can transmute lower vibrations to higher frequencies, transforming negative energy to love energy.